Purchased this for a flight and it will only work while connected to wifi, even though it has been fully downloaded. I want a refund. This is trash. So bad that it forced me to write my first review. Unfortunately many pages on my app will not let me scroll down to the rest of the article. Otherwise love it ! I'm a paid subscriber (print) and every time I attempt to log into the digital account I receive "Authentican failed." It really makes no sense and every time I attempt to input my account number or address it states it's already in use. Guess I won't have the chance for the digital copy. Purchased the January issue for the iPad. My time is valuable but had nothing but problems with the download. I tried 3 times before download began, and that took forever. I was unable to use the iPad during this time because download would fail. Contacted iPad Apps; reported problem and received a refund. Also contacted CondeNet and told them the problem. Downloading the magazines is a tedious process. You have to be actively running the app (it won't run and download in the background) to download and this is next to impossible because the content takes forever to download. If you stop the app, the download starts over from the beginning. This makes the app unusable for me. I wish this would be resolved so I can actually use it. Randomly signs me out and drops all my downloaded issues so i have to restore them. Routinely have to repeatedly reset the app to force the most current issue to display. And I regularly get my hard copy edition well in advance of the electronic edition being (forcibly) available. Second-worst magazine app in my newsstand (God help you, O Magazine app, if I ever get my hands on your developer). Very frustrating overall. Contacted allure, back and forth email still can not download. Please fix and I will change to 5 stars. 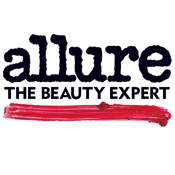 I love Allure magazine and would like to access it electronically. Same problem - issues not available. April 13, had paper issue for weeks, iPad issue "not available"
I'm a paper subscriber. I've followed all the steps and cannot sign in to get my subscription digitally. Very annoying. This app has progressively gotten worse. I have to delete and re-install every month in order to get the new edition. Although several of the magazines downloaded, the most recent won't. It keeps saying to restart the app and try it again. Otherwise I am very happy. The new issue won't finish downloading. An error message keeps popping up instructing me to restart the app and download again. Problem is, it keeps saying it even after I force quite the app and restart it. The first 20 pages look great. At some point I gave up trying to download the January issue. And then today I discovered, sadly, that I am not alone in this dilemma. 13 days after the first issue of 2013 supposedly became available and not a peep from Conde Nast acknowledging the problem or, more importantly, offering a solution. The app does not recognize my login and password, so I cannot download the magazine. Customer service is awful. Totally useless app. The new issues do not download automatically and, as others have noted, they are simply not available to download manually. It is now Sept….I no longer have a working app on my iPad mini. I have tried everything the CS people recommended 8-10 times. Because I followed their instructions to "delete and reinstall" I have NO issues on Allure available to me. Their "My Account" page is "frozen". I can log into the account, but once in, I can't do anything to access the magazine. No one from tech support has contacted me, and I don't expect that they ever will. I finally loaded a subscription through Barnes & Noble "nook"….at least I can read the mag when I am overseas 11months out of the year. But it is silly to pay a subscription 2x! NOT HAPPY with how this all turned out. I wish their techy-workers would figure out the problem we are all having and fix the bugs! Like everyone else, the January issue will not download and says it's not available. While I appreciate their weekly notification reminding me to download my new issue, I'd prefer the actual issue. Given that it is Jan. 3, I'd also appreciate a refund or an extension to my subscription if by chance they get around to fixing their app. Had to delete from newsstand and download again, now it opens just fine. I can't download any new issues even though they have been purchased. I've reloaded and logged in and still get error messages. App hasn't worked for months. Just sits there with a blank screen. Useless. Current paper subscription, wanted to get it on my ipad as well. Won't let me finish the process, won't let me sign in and sending a message to tech support does nothing. I deleted it and re-downloaded the magazine this time using my account number instead of my address. Said that I am already registered. Well, no allure, I am not. Sticking with the paper magazine. It wont download. Says file is missing or invalid. Yes this January issue gave many ppl issues but try deleting the app completely and redownload it. That should do the trick but the download time might take awhile. I get this months issue in mail, but won't allow me to download january . it says to subscribe or buy the issue, even though I have a subscription through aug. I too have had issues with downloading the new editions. Also, mine now says I do not have a subscription and the cost to renew digital only is $5 more than a print subscription which also gives you access to the digital subscription. I love the idea of not throwing out so much paper every month, but it's ridiculous to pay so much more for an electronic copy. Also there was no notice that my subscription was near the end. I'm used to getting reminders for my paper subscription. Guess I'll go back to the old way. I purchased a subscription and it will not download. Please help! Despite being a subscriber in good standing (through May 2013), receiving the January print issue, and getting a notification from the app itself to download the January issue, within the app the issue shows as "not available". I don't understand. This app takes ages to download content. Further, it frequently crashes and when it does the downloaded content disappears and I have to download the mag again. Don't waste your money on the e-version of this mag. Has worked great for a long time, but can't/ won't download April issue. I received the print issue weeks ago! Is this going to get fixed? New issues still won't download since the iOS8 update. Very disappointed. The July issue does not let me scroll down for the rest of the story!!! Love this app though. Please fix. I've been paying for this magazine for 2 months and I can't get it to open. Technical support is bad. I just gave up and cancelled it. This app downloads so slow. Also, the app must be kept open while downloading. I wish I had read the reviews prior to purchasing. Do NOT subscribe to this service. Long time subscriber to the magazine but it will not recognize my name/ address. Have sent emails to customer support but have not received any reply. Now registered using subscription number but still unable to sign into app and see magazine. HORRIBLE. don't waste your time! Nice to have access to Allure on the iPad. Easy to navigate and use though a bookmarking option, or a way to clip sections is definitely needed. Crashing all the time! Deleted it! Downloaded it and installed again! Crashed again! I was excited to have a digital version along with my printed version of this magazine but i guess this sucked! Where is the April issue on iPad? This magazine works great on the iPad when you can get it. We are nine days into April and the April issue is still unavailable. What's up with that? I had the same issue with the Jan issue not being available even though I had been charged. I followed another reviewers advice and deleted the app and downloaded again. That enabled me to download the new issue but it took forever!! Have generally been happy with this app but lately it will only open when there is an Internet connection. In all other instances it crashes. I have uninstalled and reinstalled the app several times. This has not helped. I think the problem began with the installation of iOS 6. Political propaganda ruined my favorite magazine!